Apart from keeping your dryer venting system cleaned annually, the TYPE of dryer exhaust materials used can make a HUGE difference in drying results. A poorly designed system can take twice or three times as long to dry clothes. This translates into added operating costs and shortened life of the dryer itself. Flexible plastic duct and flexible thin foil duct represent lousy venting materials for several reasons. The plastic duct is combustible, punctures easily, tends to sag, becomes brittle over time and restricts air flow. Both thin foil and plastic materials tend to loop or kink when installed, restricting air flow and creating a fire hazard due to lint buildup inside these materials. USE 4 inch aluminum RIGID duct and elbows. USE FLEXIBLE METAL when you absolutely must. Keep duct straight and short as possible. NEVER vent a dryer into a wall, ceiling, crawl space, gas vent, chimney, concealed space or other common ducting. USE a quality vent hood on the outside wall to prevent backdrafts and entry of animals. NEVER use a magnetic damper door. Keep the bottom of the exhaust hood at least 12 inches above the ground. NEVER install a screen over the vent hood. Take an hour today to inspect and clean your dryer vent system and REPLACE ANY FLEXIBLE PLASTIC DUCT with rigid 4 inch pipe. Don’t forget to check and clean the outside vent hood. 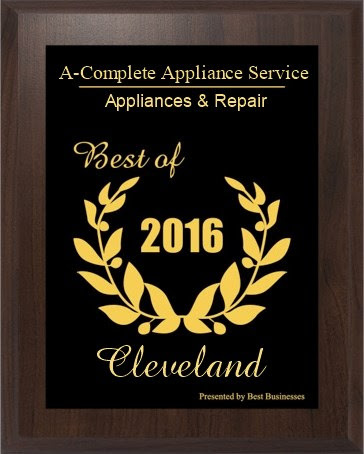 All washer/dryer problems (consumer complaints) are of concern to the laundry industry. 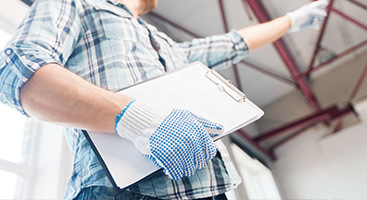 Improved communication and providing good educational information will assist field service in better responding to consumer laundering problems. The following is a summary of a May 1995 paper presented at a MACAP meeting by Janis Stone, Ph.D, Extension Professor, Iowa State University. Linting problems seem to be increasing. Consumers with little laundering knowledge or education about textiles may not understand where lint comes from. Consumers who thought they had laundering figured out may be having trouble because of changes in products. When hard water is used with carbonate based detergents, precipitates form and are deposited within fabrics, making the fabric stiff. As fabrics stiffen and become harsh there is an increased likelihood of fabric damage from abrasion or for fibers to break, creating lint. Fabric damage, holes, and tearing of faded or faded or frosted fabrics, although a new purchase may be actually abraded and partially worn-out. Consumers have unrealistic expectations about wear-life of these clothes. Holes and tearing result when fabric or seam strength is degraded through finishes, wear, or care processes. Pre-stressed finishes include frosted, acid washed or stone washed denims, sand washed silk, or weathered knits. Shorter agitation times and lower spin speeds can be used to prevent further damage to already weakened pre-stressed fabrics. Consumers do not often understand that the repeated use of liquid chlorine bleach can not only clean and whiten, but also weaken fabrics. White Residue, especially on dark clothes, seems to be a combination of lint, hard water precipitates, or undissolved detergent resulting from low water temperatures. The mix of hot and cold water for the “warm” water setting may not be hot enough to dissolve some heater, and pipe insulation. Consumer may use too much concentrated detergent, not understanding about hard and/or cold water effects and the recent changes in detergents. 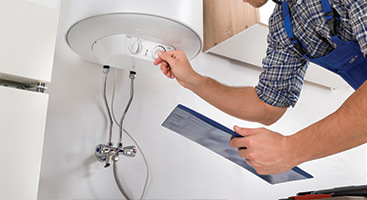 Most water heaters are factory preset at 120 to 125 degrees. With 40% hot and 60% cold water mix, the warm water wash will be 73 degrees. 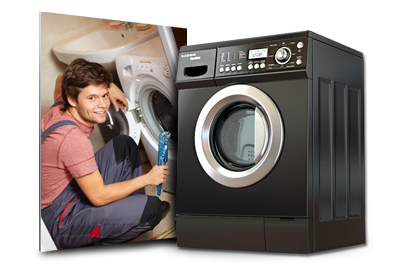 Longer wash times are then needed to provide the same cleaning levels as warm and hot water washing. A “hot” wash water should be 140 degrees, “warm” wash water should be 110 degrees, and “cold” wash water should be 80 degrees. 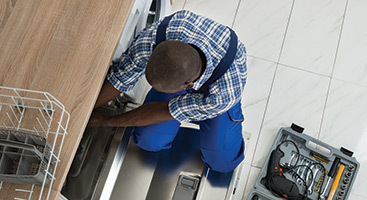 The increased efficiency of trapping and disposing lint in WCI washers was recently enhanced by a timer and agitator redesigned in all 27” washers. 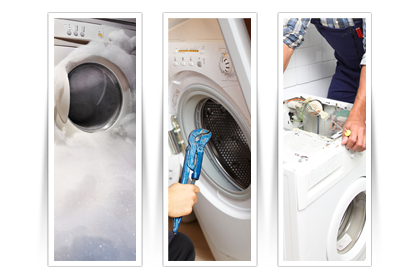 Lint may exist on clothing to be washed or it can be caused in any make or model washer by several factors. 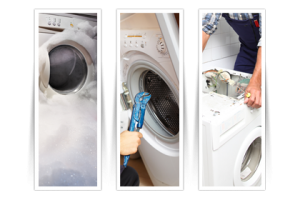 It may be necessary to properly rewash the clothes load, but, clothes loads with lint, put in a properly functioning dryer, should have all the lint removed and trapped in the dryer lint filter. is probably the most frequent user problem. Lint-givers, such as terry cloth towels and cheniles, must not be washed with lint-attracters, such as synthetic fiber (nylon, polyesters, or acrylics). 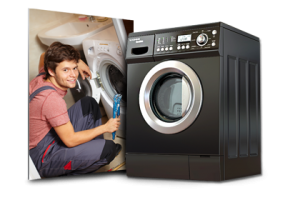 the washer will cause mechanical wear on the clothing and produce lint. The wash load needs adequate water to properly circulate in the tub. The load-size to water-level must be balanced by using (where available) the water level control. If the wash load is loosely placed in the tub, with larger items folded in an “S”, up to the top row of tub sidewall holes there will be sufficient circulation and rinsing. will not hold soil and lint in suspension during agitation. Never use less than the minimum quantity recommended by the detergent manufacturer. Hard water requires an added quantity of detergent and a water softener (some detergents may be formulated to include a water softener). is a good alternative to phosphate-free powder detergents. Liquid detergents mix more readily with water, of any temperature, and are good for the bright and dark clothes loads. Select a liquid that is labeled for hard or soft water. , regularly used, will not only make the clothes softer, but also reduce static-cling that increases the attraction of lint to synthetic clothing. WCI washers include, or have available as an accessory, an agitator-cap-mounted softener dispenser that ensures the rinse cycle gets the diluted softener. Softener is preferable in the final rinse. is attached balls of broken synthetic fiber. Polyester, acrylics, and blends of these materials, have a natural tendency to break and pill with normal wear. Lint becomes entangled in the little balls (pills) of fiber and to make the lint appear more obvious.